A team of behavioral intervention specialists and social workers provide information and referral, advocacy, short-term crisis counseling and/or in-home behavioral interventions. This is provided to stabilize familial relationships, maintain the integrity of the family unit, and promote functional behavior. Taking care of a family member with developmental disabilities is stressful at times. But when the family is overwhelmed – in crisis – the right support can make all the difference. Our case managers will help connect you with the supports you need. This service is typically offered to people with disabilities and families who do not yet have Care Coordination or other long-term case management. Our in-home service helps replace your family member’s challenging behaviors with positive ones. In this 6-month, in-home intervention, we help you to collect data on the behavior and identify its root causes. Then we develop a behavior plan and help you implement the plan with the goal of replacing your family member’s problematic behavior with more positive behavior. We ask that families seeking behavior management commit to weekly 2-hour sessions with our clinician, as consistency is a key to the success of this service. There may be a waiting list for behavior management. Short-term counseling to help enhance coping skills and identify solutions to problems. Eligibility with Office for People With Developmental Disability (OPWDD) required. 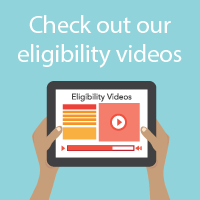 We can help you establish eligibility. This usually includes a psychological evaluation, a psychosocial evaluation, a recent medical evaluation, and sometimes additional documentation. We’ll work with you to obtain necessary documents.